Foreword by Dr. Agatha M. Thrash M.D. Even if you yourself never expect to use the helpful information in this very practical book on pregnancy, labor, and delivery, you will find it a "can't put it down" type of book. Patti has united her skills of storytelling with the knowledge and experience of her profession to produce the most useful book of its kind on the market. While she does not burden the reader with unnecessary scientific detail, she gives adequate information on structure and function for proper understanding by the pregnant woman or the student midwife. It is also sufficiently broad to fill the needs for the practicing midwife. For them it is essential reading. The section on unusual happenings in labor and delivery is competently dealt with along with many illustrative case histories. From these the experienced midwife can gain much practical information to augment the skills and training gained elsewhere. But the person I believe will be the most thrilled and compelled to study the book is the mother or the prospective mother and father. For this group, the step by step explanation of the entire experience for pregnancy, labor, and delivery will be both an enlightening and deeply spiritual experience. Pregnancy is probably the most instructive experience a woman can have concerning the special feminine equipment with which she has been endowed. To have this equipment explained, and to relive the true story emotional and social experiences of others Patti has helped is a broadening study. I have always been dedicated to home births, ever since my medical school days when our favorite professor of obstetrics told our class that the principal advantage hospital delivery has over a home delivery is the convenience of the obstetrician. I have, however, caught afresh from The Ministry of Midwifery the sense of mystery and awe, of the very special nature of this common event. It is such a privilege to be in on the ground floor of a new life beginning on earth. A home birth blends all the excitement of a patriotic parade, the privacy and the intimacy of the bedroom, the science of anatomy and physiology at its finest, and the ministry of women helping women. Patti has captured the pageantry of this unique experience and expressed it in readable form. I could not suppress a "Hallelujah" several times as I was reading it. Indeed, "What hath God wrought!" 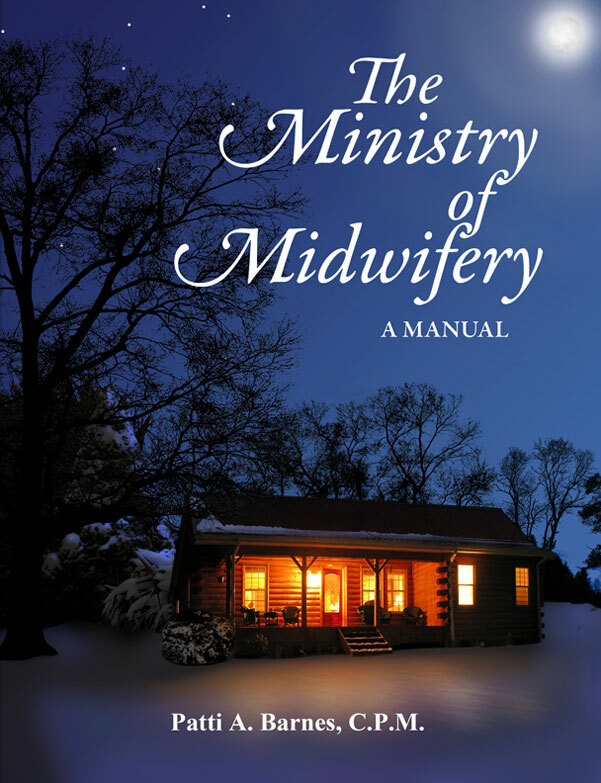 If The Ministry of Midwifery had been available during my years of training lay midwives and delivering or supervising several hundred home births, I would have required the students to read it, and would have supplied it to our patients for the childbirth training classes. The Lord has blessed us with an excellent book, long overdue. An exciting birth story leads into the ministry perspective of midwifery. Patti explains how midwifery for her is a ministry, a Christian ministry, with Jesus Christ as her number one protocol. She shares how faith, responsibility, and Christian deportment all combine to shape an effective medical missionary. In this chapter, Patti discusses why midwives should be trained. There is a difference between faith and presumption, and a Christian midwife will do well to distinguish between the two before falling into a snare of the enemy of souls. This chapter contains a very brief summary of the safety of homebirths and why a growing number of parents are choosing to deliver at home. Truly we are "fearfully and wonderfully made." Patti takes you step by step through the process of fetal growth and development from conception to birth. Learn about the equipment that our Creator has designed within the woman to conceive and birth babies. Also learn how God has miraculously provided women with an anatomy that changes through the course of childbearing. Patti discusses in this chapter the need for good prenatal care and what prenatal care should include. Learn how to measure fundal height, listen to fetal heart tones, do urinalysis, etc. God has provided eight simple, natural ways to optimize pregnancy and childbirth. You will be amazed at what water, sunshine, rest, exercise, fresh air, temperance, proper diet and faith can do. For example, did you know that sunshine decreases blood cholesterol? God has provided many powerful and effective herbs for health and healing. Patti discusses many that are safe to use during pregnancy. Many common ailments that may and often do occur during pregnancy are covered. This chapter covers the three stages of labor. Cardinal movements, dilation, labor support, delivery of baby and placenta, birthing kits and more are covered. Learn how to care for the mother and the baby immediately after birth. Apgar scoring is explained along with newborn assessment. Another amazing birth story sets the stage for this chapter on emergencies. Patti discusses such things as placenta previa, Bandl's rings, postpartum hemorrhaging, cord prolapse, shoulder dystocia and much more. This is a brief look into some of the advantages of breastfeeding over formulas. We cannot improve on God's design. This very brief chapter gives some helpful hints for those who are prone to miscarry. This chapter was contributed by Timothy Clark, R.N. The husband has a big role to play during the prenatal period, the birth, and postnatal period. Learn the role that God has entrusted the husband and father with. This dramatic story concludes the book. Read the thrilling adventure of a snowbound family and their two midwives. For your convenience we are now accepting online payments made through PayPal™, as well as mail orders. Contact us to get special pricing information for retailers. IMPORTANT: When sending in an order form, payment must accompany order. Please make checks or money orders out to Patti Barnes. We will wait until all funds have cleared before sending out the manual. Thank you for your understanding. Greetings in the name of Jesus. Just wanted to say Thank you for taking the time to write a book on midwifery with a Christian perspective! May God bless you greatly…I'm really excited too, to be able to lend this to my pregnant mothers. Greetings to you this beautiful day. Thanks for the time you put into this book. I'm ordering one for my mom and mother-in-law. Also my sister-in-law, who is also pregnant. Please send me two more copies of The Ministry of Midwifery. They are excellent, and I really enjoyed the copy you sent me before. I love the spiritual emphasis in it. Thank you again. A few months ago I received a copy of The Ministry of Midwifery and am still enjoying pouring over the book…The illustrations are wonderful! I also appreciate the manner in which the info is condensed and to the point, making this manual a good, "quick reference." Thank you also for the encouragement this has been to me spiritually; that God really does place a high importance on women attending women. It has been an encouragement to me to keep pursuing my dream and heart's desire, to receive the training necessary to help my sisters. Thank you, and may our precious Lord and Savior be glorified.